← Friday 18th July 2014 – George missed all the fun. 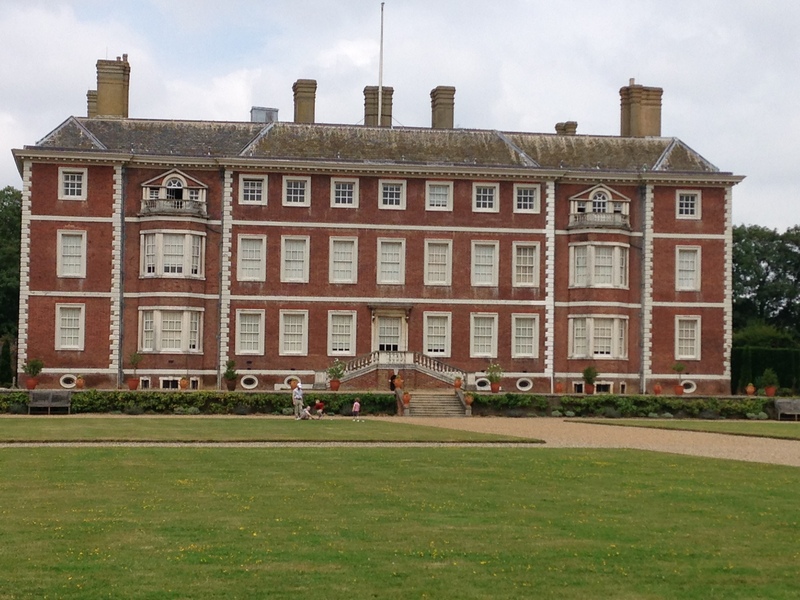 Sunday 20th July 2014 – To Ham House and back again. Now I didn’t walk as far as I’d planned this week, but still a fair way. I’d been on my feet for most of the afternoon ringing a peal of Rutland Surprise Major in celebration of a fellow ringers wedding. This meant that we rang constantly for 2 hours and 42 minutes, this will not mean anything to many of you, but those who know about bell ringing, it’s a massive achievement. So having done that, I was a little tired, but I still managed to walk a decent distance. So after bell ringing on Sunday morning (with still rather sore fingers) I walked off to Ham House and Gardens. I’ve taken the kids here before on several occasions and as it was just over 9 miles from my starting point I thought it would be a good distance and somewhere I could stop and have lunch before heading back a different way (just to make it more interesting). When I started my walk it was cloudy and lovely and cool, but as I walked on, the sun came out and it became rather warm. I’d stupidly not taken my sunglasses with me or my head scarf (it was in the wash) so stayed as much in the shade as I could. When I got to Ham House I sat down for about 20 minutes on a bench in the main gardens and had my lunch. Then went for a loo break and then headed back. The journey back was just over 8 miles so it was great to feel that I’d done over half before I stopped. When I arrived home I was rather hot, so after a pint of squash I went and showered and then felt much better. Next week I plan to walk to Winkworth Arboretum, which is 22 miles I think, and that will be without a stop. It should take me about 5 and a half hours!! I’d better take plenty of water for that trip, sunglasses and my head scarf (it’s lovely and clean now). The rear view of Ham House and Gardens. What a lovely view whilst I had my lunch. This entry was posted in Uncategorized and tagged claire's allotment, Ham House and Gardens, National Trust, Rutland Surprise Major, Winkworth Arboretum. Bookmark the permalink. 2 Responses to Sunday 20th July 2014 – To Ham House and back again.